The School of Dragons is excited to welcome you to our leagues of courageous and dedicated dragon trainers! 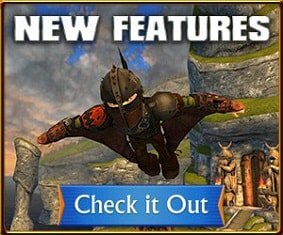 Here, you’ll bond with your very own dragon, learn to train it, and go on high-flying adventures together. However, before you begin your education, you must look the part of a daring Viking villager. Once the game is launched and you have authorized your account, you'll be able to begin customizing your appearance and clothing. Choosing your Viking's gender - First, you must select whether you would like your Viking to be a boy or a girl. Naming your Viking - Next, you must decide what name you would like to use while studying at the School of Dragons. Numbers and special characters are strictly prohibited. We urge you to choose your name wisely, because it can't be changed once your Viking has been created! Customizing your Viking - Under the “Viking” menu, you can customize your avatar’s physical appearance. 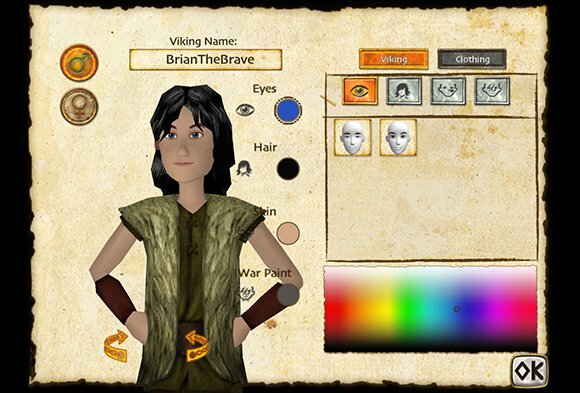 You’ll be able to navigate through a plethora of options that will allow you to choose your Viking’s eye and hair color, hairstyle, and facial features. Afterwards, go to the “Clothing” menu to dress your avatar. If you’re worried about your clothes being last season, don’t fret! Once you start earning coins in the game, you can treat yourself to the latest Viking fashions at Johann’s Trading Post! After you’ve settled on a gender, name, look, and outfit, select “OK” to create your avatar. Now that you look like a proper Viking, you’re ready to begin your journey at the School of Dragons!